Within 'Documents View,' users can create a new document by clicking the '+ New Document' button on the right of the page. Clicking the '+ New Document' button will open the New Document dialog where you will be directed through the process of creating a new document. 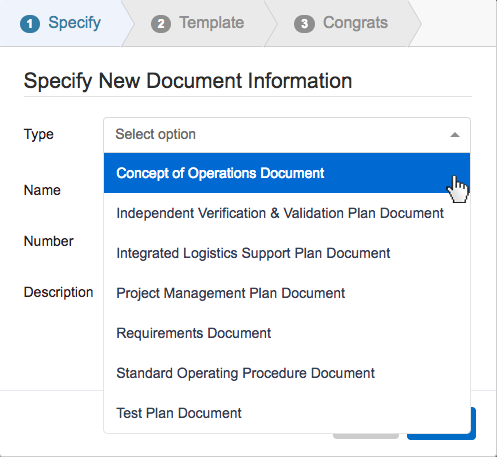 On step one, select a Document Type from a drop-down menu of default templates, complete with guidelines and outline options. From there, you will be prompted to input a document 'Name,' 'Number' (optional), and 'Description' (optional). Then, click the 'Next' button. 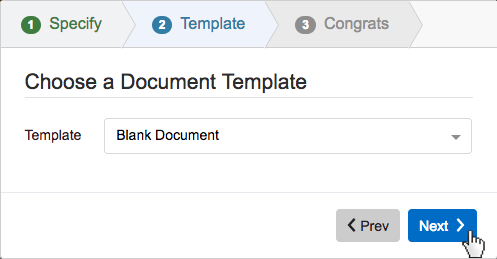 On step two, select a 'Document Template' from the drop-down menu of options for your specified Document Type. Then, click the 'Next' button. 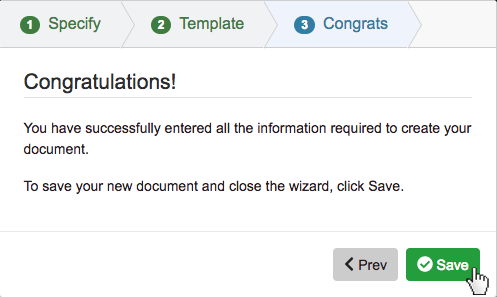 On step three, click the 'Save' button to save and automatically open your new document. Within ‘Documents View,’ users can create a new document by clicking the ‘+ New Document’ button on the right of the page. Clicking the ‘+ New Document’ button will open the New Document dialog where you will be directed through the process of creating a new document. 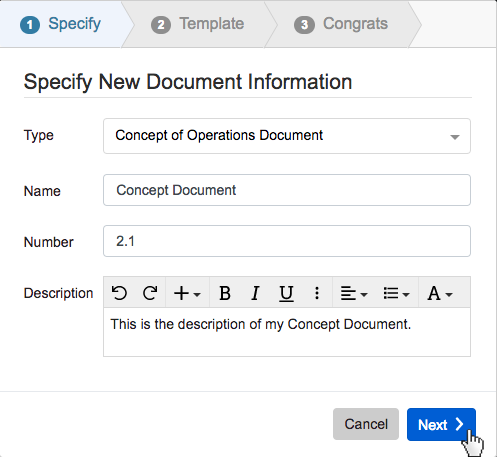 From there, you will be prompted to input a document ‘Name,’ ‘Number’ (optional), and ‘Description’ (optional). Then, click the ‘Next’ button. 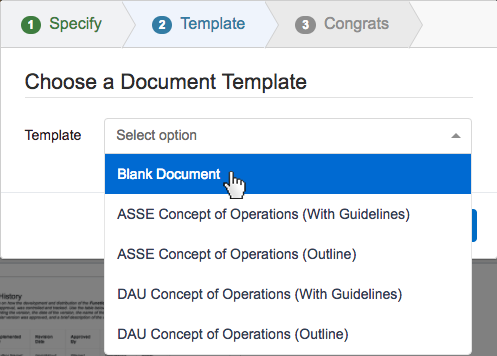 On step two, select a ‘Document Template’ from the drop-down menu of options for your specified Document Type. Then, click the ‘Next’ button. On step three, click the ‘Save’ button to save and automatically open your new document.